One day I found I’d left the hot water tap running. Not only had an undetermined amount of water literally gone down the drain, but I’d also paid for the privilege of heating it. Pain over wasted hot water illustrates the pain businesses feel when they pay utility bills. Employee waste and equipment malfunction can ramp up usage. Realistically, unfortunate things do happen in the course of running a business, and money does go down the drain. Happily, internet bandwidth usage is one noteworthy exception. That’s because of a billing system called the 95th percentile, which is a calculation used to evaluate regular and sustained usage of a customer’s network connection. The 95th percentile-billing model is widely used by Peering providers. Customers are committed to a certain base rate but during peak usage times “burst” beyond normal usage. This billing method is also called “Burstable Billing”. 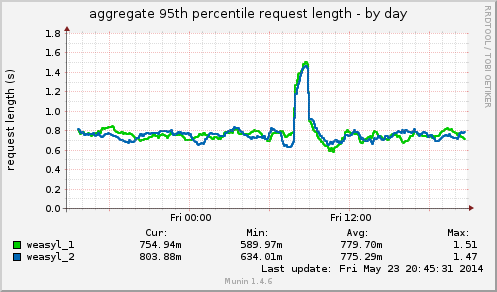 The provider makes an exception for the 5% of unusual traffic, and considers the 95% the norm for billing purposes. This method saves customers from incurring penalties during peak usage times. The notation for Megabit-per-Second (Mbps) is: Mbit/s or 106. 1 Megabit per second (1 Mbps) will not allow you to download a 1 Megabyte file in one second. A Megabit is 1/8th of a Megabyte. Following this ratio, 16 megabits = 2 megabytes. Here’s an online converter courtesy of Matisse.net. This converter can also convert a Gigabit (Gbit) to Gigabyte (GB). Now that you understand megabit vs. megabyte in bandwidth units, it’s time to look at consumption. 1 Mbit translates to 325GB of sustained usage over a 30-day period—a billing cycle. Bandwidth samples are taken at 5-minute intervals from the switch or router connected to your equipment and recorded in a database or log. Units are recorded in bytes. The bytes begin to accumulate and are rolled up into kilobytes and eventually megabytes. Once the raw data is compiled, the system translates MB into Mbits, rendered in Mbits-per-second (Mbps). These values are then plotted on a graph, which will be accessed at a later stage. Chart showing total 95th percentile by day. Graph courtesy of Wikipedia. When the month is complete, these samples are sorted from the highest to the lowest usage. That’s when the top 5% of your peak-time usage is determined. This spans roughly 36 hours over a 30-day billing cycle (approximately 720 hours). The top 5% is NOT billed, and the 95% that remains becomes your monthly charge. Since that top 5% is your peak usage, the savings can add up. Having that cushion can give you peace of mind when intermittent traffic bursts happen. Traffic peaks don’t have to break your budget. What’s especially advantageous is that peak usage can occur at the same time every day, once a week, or it can happen on a busy day after a product rollout. Your 95th percentile billing works the same regardless of when it occurs. If you find that you’re getting overages in spite of the 95th percentile savings, it may be time to look into Peering. Peering will allow you to handle prolonged usage bursts without having to pay more money. If your company is looking to expand or you’re now streaming video on your website(s) Peering may be the answer. It not only prevents overages, but Peering also improves your overall website performance. Best of all, it maintains responsiveness when visitors are accessing bandwidth-intensive resources. As you have Internet connectivity through one of the Telehouse connectivity partners, you’re already taking advantage of the 95th percentile billing model. That means the top 5% of your peak-time internet bandwidth usage is literally free. Further, peak-time may not occur on a specific time of day. It refers to the largest bursts of bandwidth that occur any time within your roughly 30-day billing cycle. Learn more about Peering and the NYIIX Exchange. 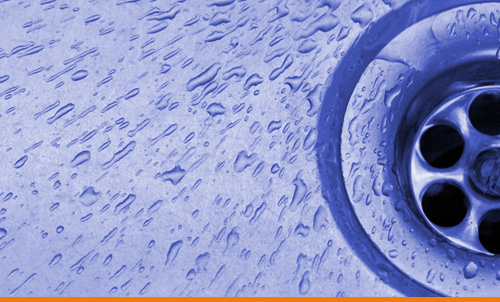 Our engineers are available to discover ways to stop money from going down the drain.